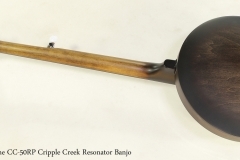 The 5-string banjo has been making a deserved comeback over the last few years and quality beginner banjos like the Gold Tone Cripple Creek CC-50RP have been the starter instrument for many players learning bluegrass and old-tyme styles. This banjo comes with a dark satin stain on maple rim, neck and resonator. 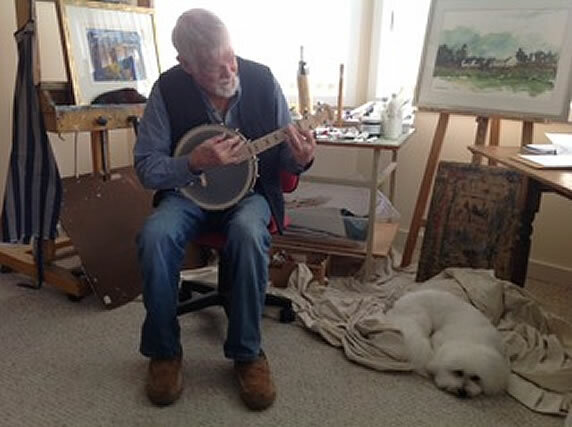 “The popular Gold Tone CC-50RP has been the openback banjo of choice for thousands of beginning players for many years. The CC-50RP adds a full-walled resonator and high quality planetary-gear tuning machines to offer a value-packed first Bluegrass banjo for thousands more. Great sound emanates from the hard rock maple rim topped with a brass rod tone ring. The flangeless CC-50RP converts easily to an open back banjo for exploring clawhammer or folk style playing; just pop off the resonator and mounting brackets and you’re done. 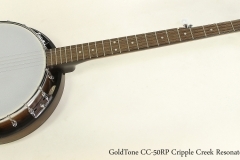 The Gold Tone CC-50RP Cripple Creek is sold with a Gold Tone gig bag.